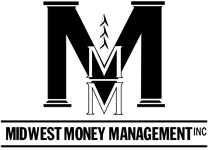 What Makes Us Different | Midwest Money Management Inc.
Our approach to financial planning and investment management is the result of nearly 20 years of industry expertise. Providing our clients with the knowledge, tools, and confidence to feel comfortable financially today and secure about tomorrow is our mission. Our firm will treat your finances with the same level of care and attention we do for our own friends and family. While developing your customized financial plan, our team will walk you through a step-by-step process that will instill confidence, and provide you with the knowledge to make great financial decisions. There are a lot of pieces to your finances. Let us help you secure a complete picture with our Wealth Management Organizer. Over the course of our relationship we will use our Wealth Management Organizer to systematically check off over 50 different pieces that combine to form a picture of your financial health. While we always hope for the best, hope is not a strategy and it is not part of our investment process. We utilize multiple different managed investment models as the core of clients’ portfolios. We ask that clients give us discretion over the investment decisions so that we are able to make changes proactively on their behalf. While no investment process can guarantee against risk of loss, our overall investment philosophy is to be quick to adapt to changing market conditions and manage the downside risk to portfolios. In general, we maintain a reasonably diversified portfolio within the scope of each model’s objective including the use of alternative asset classes such as precious metals, commercial real estate, and managed futures. We do, however, also overweight sectors and assets classes that we believe to be in favor in the current market environment. Investment decisions are based on a variety of factors including fundamental analysis, market sentiment, trend analysis, legal insider trading activity, and technical analysis. Look at the economy and the markets from a macro perspective to determine how much risk we believe is appropriate for each model given the current risk/reward profile. Decide what asset classes and specifically what individual investments we want exposure to and in what amount. For all models except the Aggressive Growth, create an exit strategy for each investment. We follow a predetermined sell discipline for each individual investment in order to manage the downside risk. Monitor, implement, and update our model allocations on a daily basis. Especially during times of high volatility, we believe that it gives our clients additional comfort and confidence in their investments to know that someone is watching over and potentially adjusting their allocations on a daily basis. The following are descriptions of our current investment parameters for each of our models. We expect that these parameters may need to change over time as market conditions unfold and new information is available. This model is not designed to manage downside risk in any way and would only be appropriate for the most aggressive investors, or those who are using a strategy that could potentially benefit from volatility such as dollar cost averaging. Assets will be fully invested (except for 2% in cash) in whatever asset class we deem to have the highest growth potential with little to no regard for short term fluctuations. No capital protection strategies will be employed. This is our most flexible model in the sense that we have the ability to be as aggressive or conservative at any given moment as we believe market conditions warrant. Assets have the potential to be fully invested (except for 2%) in equities or whatever asset class we deem to have the highest growth potential. However, we will implement hedging strategies and potentially reduce our exposure to market fluctuations in the short term if we believe that market conditions warrant it. This model is designed to give us a great deal of flexibility in our asset allocation to adapt to current market conditions, while still putting a modest limitation on the maximum risk exposure in terms of asset class. We intend to maintain a target of approximately 20% of the assets in what would be traditionally considered lower risk investments such as cash and fixed instruments. The rest of the assets will shift between more growth oriented or conservative investments depending on market conditions. This model will most resemble a balanced portfolio with a slight growth bias. It is our intent to maintain a target of approximately 40% of the assets in what would be traditionally considered lower risk investments such as cash and fixed instruments. The rest of the assets will shift between more growth oriented or conservative investments depending on market conditions. The objective of this model is to provide long term returns that are slightly higher than money market and CD rates with the least amount of short term volatility. Our target asset allocation during what we consider to be normal market conditions will be approximately 20% cash equivalents, 40% fixed instruments, and 40% equities. During times when we deem the risks to any of these asset classes to be higher than average we will reduce the exposure in favor of other options. Our Wealth Management System provides you with an online portal that you can access from anywhere that you have internet connection. From that portal you can view up-to-date values of all of your assets and liabilities even those accounts that are not managed directly by our firm, like possibly your company 401k plan or your home mortgage. Beyond just a living balance sheet, the portal also contains powerful reporting tools to allow you and us to track your progress and make sure that you are on course to achieve your goals. Our system also allows you to digitally store all of your important legal and personal documents in a safe, secure electronic vault. Once we have completed your plan using our Wealth Management System, not only will you have stronger grasp of your financial situation, but so will we. The real value of our system is not that it makes you a happier client to us, but that it makes us a better advisor to you. Please watch the brief video below to find out more. Have you taken the Family Index Stress Test? This may be the most important exam you family will ever take. It’s an exclusive tool designed to see where your portfolio may need changes to get you back on firm financial footing. What is your Family Index Number? The “Family Index” is the hypothetical rate of return you need on your investment portfolio to achieve your goals. Should you continue to focus on the volatile broad market indices or become focused on the rate of return your family needs to achieve? A Stress Test is one of the initial stages of finding your Family Index Number. The Stress Test analyzes your current portfolio and tests it under various economic scenarios, letting you know the strengths and weaknesses of your portfolio. To receive additional information about finding your Family Index Number and Stress Testing your portfolio, submit the form below. A member of our team will contact you.